Published on Nov 26, 201 4 • This talk was given at a local TEDx event, produced independently of the TED Conferences. Listen as photographer and educator Christine Germane tells the stories of Portraits of Resilience, a unique project that illustrates the ethical dimension of the climate change discussion through documenting and sharing the personal stories of indigenous youth. Since 2000, Christine Germane has been collaborating with Indigenous communities as a photographer, educator and curator. The international photojournalism project titled Portraits of Resilience has allowed her to work with indigenous youth to illustrate the personal and ethical effects of climate change on their communities. Since its creation in 2008, the project has occurred in 12 countries and has been exhibited internationally, including the launch at the National Museum of Denmark. With a range of education, awards, and project coordination experience within art and design under her belt, Christine’s exceptional work has provided youth with a medium to share their voice during a crucial period of time. A recently discovered form of carbon graphite – the material in pencil lead – has turned out to have a completely unexpected property which could revolutionise the development of green energy and electric cars. Researchers have discovered that graphene allows positively charged hydrogen atoms or protons to pass through it despite being completely impermeable to all other gases, including hydrogen itself. The implications of the discovery are immense as it could dramatically increase the efficiency of fuel cells, which generate electricity directly from hydrogen, the scientists said. The breakthrough raises the prospect of extracting hydrogen fuel from air and burning it as a carbon-free source of energy in a fuel cell to produce electricity and water with no damaging waste products. “In the atmosphere there is a certain amount of hydrogen and this hydrogen will end up on the other side [of graphene] in a reservoir. Then you can use this hydrogen-collected reservoir to burn it in the same fuel cell and make electricity,” said Professor Sir Andrei Geim of Manchester Univeristy. Ever since its discovery 10 years ago, graphene has astonished scientists. 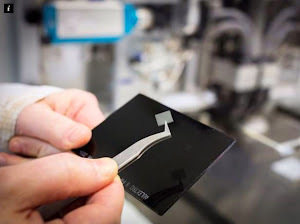 It is the thinnest known material, a million times thinner than human hair, yet more than 200 times stronger than steel, as well as being the world’s best conductor of electricity. Until now, being permeable to protons was not considered a practical possibility, but an international team of scientists led by Sir Andre, who shares the 2010 Nobel Prize for his work on graphene, has shown that the one-atom thick crystal acts like a chemical filter. It allows the free passage of protons but forms an impenetrable barrier to other atoms and molecules. “There have been three or four scientific papers before about the theoretical predictions for how easy or how hard it would be for a proton to go through graphene and these calculations give numbers that take billions and billions of years for a proton to go through this same membrane,” Sir Andrei said. “It’s just so dense an electronic field it just doesn’t let anything through. But it’s a question of numbers, no more than that. This makes a difference between billions of years and a reasonable time for permeation. There is no magic,” he said. The study, published in the journal Nature, shows that graphene and a similar single-atom material called boron nitride allowed the build-up of protons on one side of a membrane, yet prevented anything else from crossing over into a collecting chamber. In their scientific paper, the researchers speculate that there could be many applications in the field of hydrogen fuel cells and in technology for collecting hydrogen gas from the atmosphere, which would open up a new source of clean energy. “It’s really the very first paper on the subject so what we’re doing is really to introduce the material for other experts to think about it,” Sir Andrei said. “It was difficult not to speculate. If you can pump protons from a hydrogen-containing gas into a chamber that doesn’t contain anything, you start thinking how you can exploit this?” he said. “One of the possibilities we can imagine, however futuristic, which has to be emphasised because everything has been shown on a small scale, is applying a small electric current across the membrane and pushing hydrogen though the graphene or boron nitrite membrane,” he explained. “Essentially you pump your fuel from the atmosphere and get electricity out of this fuel, in principle. Before this paper, this wouldn’t even be speculation; it would be science fiction. At least our paper provides a guidance and proof that this kind of device is possible and doesn’t contradict to any known laws of nature,” Sir Andre added. Graphene is tough, about 200 times stronger than steel, yet incredibly light. It is considered the first two-dimensional material because it forms sheets of crystal that are just one atom thick. It is also an excellent conductor of electricity, so is useful for anything involving electronics, such as bendable mobile phones and cameras, and wearable electrical devices attached to clothing. Medical applications include its possible use as a material for delivering drugs to damaged sites within the body, which could open new avenues for treating patients with brain conditions such as Parkinson’s disease or cancer. Graphene is also being developed as a new material for membranes involved in separating liquids. It could be used to purify water in the developing world or to create more efficient desalination plants. Scientists also believe that graphene’s high strength and low weight can be harnessed in the making of new composite materials and polymers for the transport industry, making travel safer and more fuel efficient. 27 October 2014: The Energy and Climate Partnership of the Americas (ECPA) Clearinghouse organized a workshop examining 'Policies for the Promotion of a Sustainable Energy Sector' for participants from several South American countries, multilateral institutions and civil society organizations (CSOs). The workshop considered drivers behind increased efficiency and lower costs of wind and solar power and considered the infrastructure needed for bringing more renewables onto the grid. Held on 27 October 2014, in Montevideo, Uruguay, the workshop highlighted that renewable energy infrastructure costs are declining and that renewables can provide off-the-grid, isolated communities with electricity while diversifying the energy mix and fueling low-carbon growth. As discussed at the workshop, an important action item to take advantage of the falling costs and benefits of renewables is mapping the areas with the highest potential for renewable energy generation to maximize efficiency. Participants debated the best ways, including through renewable energy sources, to improve energy access. A presentation from Uruguay explained how their ministries of environment, energy and housing are working together to tackle the multiple dimensions of energy poverty. Participants agreed to the overall need for a continued exchange of information among countries as they increase energy access and the share of renewables in their energy mix. A new review paper entitled ‘Up-scaling finance for community-based adaptation‘ is now available. Published in the academic journal Climate and Development, the paper is available free of charge as part of a special issue entitled ‘Community-based adaptation: Mainstreaming into national and local planning’. The paper explores ways in which community-based adaptation is presently being mainstreamed through the multilateral funds that are used to channel adaptation finance under the United Nations Framework Convention on Climate Change, and points to two promising examples that demonstrate this. Events of the last year have increased many of the long-term uncertainties facing the global energy sector, says the International Energy Agency’s (IEA) World Energy Outlook 2014 (WEO-2014). It warns against the risk that current events distract decision makers from recognising and tackling the longer-term signs of stress that are emerging in the energy system. In the central scenario of WEO-2014, world primary energy demand is 37% higher in 2040, putting more pressure on the global energy system. But this pressure would be even greater if not for efficiency measures that play a vital role in holding back global demand growth. The scenario shows that world demand for two out of the three fossil fuels – coal and oil – essentially reaches a plateau by 2040, although, for both fuels, this global outcome is a result of very different trends across countries. At the same time, renewable energy technologies gain ground rapidly, helped by falling costs and subsidies (estimated at $120 billion in 2013). By 2040, world energy supply is divided into four almost equal parts: low-carbon sources (nuclear and renewables), oil, natural gas and coal. In an in-depth focus on nuclear power, WEO-2014 sees installed capacity grow by 60% to 2040 in the central scenario, with the increase concentrated heavily in just four countries (China, India, Korea and Russia). Despite this, the share of nuclear power in the global power mix remains well below its historic peak. Nuclear power plays an important strategic role in enhancing energy security for some countries. It also avoids almost four years’ worth of global energy-related carbon-dioxide (CO2) emissions by 2040. However, nuclear power faces major challenges in competitive markets where there are significant market and regulatory risks, and public acceptance remains a critical issue worldwide. Many countries must also make important decisions regarding the almost 200 nuclear reactors due to be retired by 2040, and how to manage the growing volumes of spent nuclear fuel in the absence of permanent disposal facilities. The report sees a positive outlook for renewables, as they are expected to account for nearly half of the global increase in power generation to 2040, and overtake coal as the leading source of electricity. Wind power accounts for the largest share of growth in renewables-based generation, followed by hydropower and solar technologies. However, as the share of wind and solar PV in the world’s power mix quadruples, their integration becomes more challenging both from a technical and market perspective. World oil supply rises to 104 million barrels per day (mb/d) in 2040, but hinges critically on investments in the Middle East. As tight oil output in the United States levels off, and non-OPEC supply falls back in the 2020s, the Middle East becomes the major source of supply growth. Growth in world oil demand slows to a near halt by 2040: demand in many of today’s largest consumers either already being in long-term decline by 2040 (the United States, European Union and Japan) or having essentially reached a plateau (China, Russia and Brazil). China overtakes the United States as the largest oil consumer around 2030 but, as its demand growth slows, India emerges as a key driver of growth, as do sub-Saharan Africa, the Middle East and Southeast Asia. Demand for gas is more than 50% higher in 2040, and it is the only fossil fuel still growing significantly at that time. The United States remains the largest global gas producer, although production levels off in the late-2030s as shale gas output starts to recede. East Africa emerges alongside Qatar, Australia, North America and others as an important source of liquefied natural gas (LNG), which is an increasingly important tool for gas security. A key uncertainty for gas outside of North America is whether it can be made available at prices that are low enough to be attractive for consumers and yet high enough to incentivise large investments in supply. While coal is abundant and its supply relatively secure, its future use is constrained by measures to improve efficiency, tackle local pollution and reduce CO2 emissions. Coal demand is 15% higher in 2040 but growth slows to a near halt in the 2020s. Regional trends vary, with demand reaching a peak in China, dropping by one-third in the United States, but continuing to grow in India. 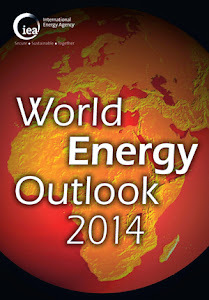 The global energy system continues to face a major energy poverty crisis. In sub-Saharan Africa (the regional focus of WEO-2014), two out of every three people do not have access to electricity, and this is acting as a severe constraint on economic and social development. Meanwhile, costly fossil-fuel consumption subsidies (estimated at $550 billion in 2013) are often intended to help increase energy access, but fail to help those that need it most and discourage investment in efficiency and renewables. A critical “sign of stress” is the failure to transform the energy system quickly enough to stem the rise in energy-related CO2 emissions (which grow by one-fifth to 2040) and put the world on a path consistent with a long-term global temperature increase of 2°C. In the central scenario, the entire carbon budget allowed under a 2°C climate trajectory is consumed by 2040, highlighting the need for a comprehensive and ambitious agreement at the COP21 meeting in Paris in 2015. The International Energy Agency is an autonomous organisation that works to ensure reliable, affordable and clean energy for its 29 member countries and beyond. Founded in response to the 1973/4 oil crisis, the IEA’s initial role was to help countries co-ordinate a collective response to major disruptions in oil supply. 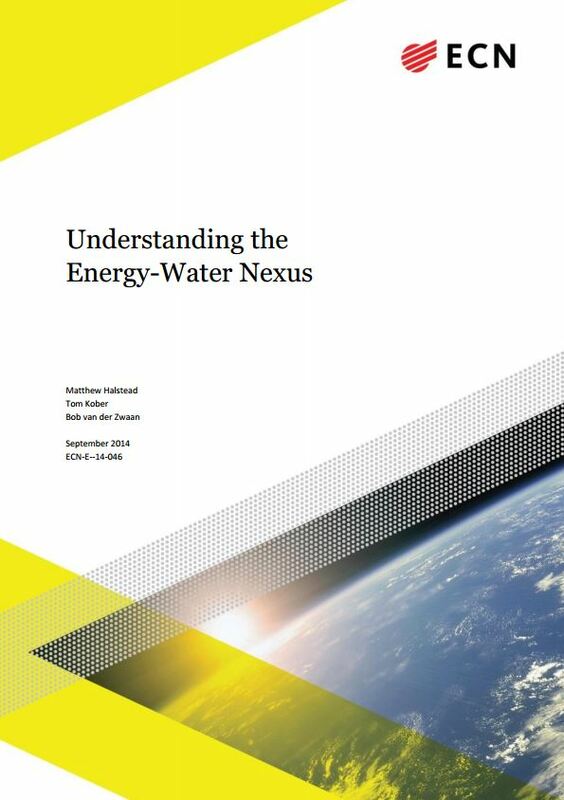 While this remains a key aspect of its work, the IEA has evolved and expanded. It is at the heart of global dialogue on energy, providing authoritative research, statistics, analysis and recommendations. Cayman Renewable Energy Association launched last week. In this segment we learn more about the group’s mission and what they see as the next step in implementing alternative energy in Cayman. James E. Whittaker of GreenTech Group of Companies and Jim Knapp of Endless Energy talk to Vanessa Hansen of Cayman 27 about the premise of the organiization and why it’s important to have the association in Cayman.